Do you want to win an All-Access VIP pass to the D Rose Tour activities in Manila this year? If yes, you might want to check the details below. Few days ago, adidas Basketball announced that D Rose will visit Manila later this year. The last stop of his world tour will be here. Derrick Rose from the Chicago Bulls will be engaging in various activities with fans and the media, including the Rose Originals Party, Fans’ Day, 3 on 3 Grand Finals, and Media Day. Rose’fans also have a chance to meet and greet Chicago Bulls superstar Derrick Rose by participating in the Rose Tour Promo hosted by adidas, which runs from July 5 until August 5, 2013. Every single receipt of 2,000 Php from participating adidas stores entitles customers to participate in the raffle draw. 5 lucky winners will get a 3-day all-access VIP pass to the D Rose Tour activities, while 20 winners will get tickets to the Rose Originals party. 1. Customers aged eighteen (18) years old and above are eligible to participate in the raffle / lucky draw herein. Customers who are under the age of eighteen (18) by August 5, 2013 are eligible to participate in the raffle / lucky draw herein if they are accompanied by a legal guardian over 18 years old. If the winner is under 18 years old, they must be accompanied by a legal guardian over 18 years old to collect the Prize and to participate in the D Rose Tour activities. 2. 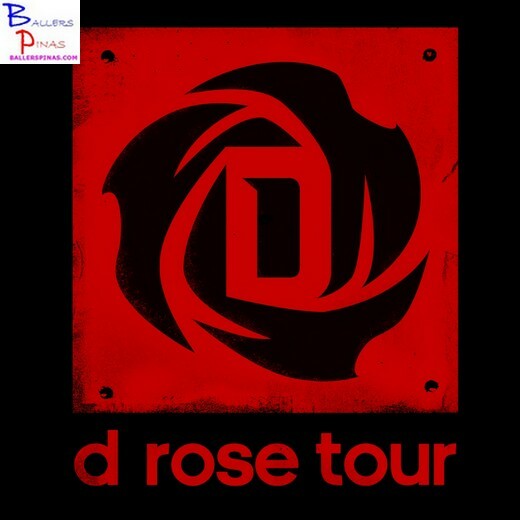 Customers who win but are under the age of eighteen (18) will not be able to enter and attend the D Rose Tour Party on September 14, 2013. 3. Every P 2,000 in a single receipt purchase entitles the customer to join the raffle. 4. To join the raffle, the customer must fill out a lucky draw card with his/her complete name, birthdate, address, telephone number, email address and signature. Customer then drops the card in the D Rose Tour drop box located at adidas Gateway, adidas Robinson's Galleria, adidas Shangri-La, adidas Robinson's Ermita, adidas Newport Mall, adidas Festival Mall, adidas Power Plant, adidas Shop Binondo, Planet Sports Bonifacio High Street, Planet Sports Power Plant, Planet Sports Trinoma, Planet Sports Alabang Town Center, The Athlete's Foot Magnolia, The Athlete's Foot Robinson's Ermita, Toby's Mall Of Asia, Toby's Megamall, Toby's Shangrila, Toby's Manila, Toby's Glorietta 2, adidas Mall of Asia, adidas SM North Annex, adidas SM Cebu, adidas SM Megamall, Sports Central SM Manila, Sports Central SM Mall of Asia, Olympic Village Robinson's Ermita, Olympic Village Alabang Town Center, Olympic Village Trinoma, Hoopsville Robinson's Galleria, Hoopsville Gateway, Titan Two Parkade, Titan Burgos Circle, Titan Katipunan, adidas Glorietta, Proline SM Megamall, Proline SM North EDSA, Proline Magnolia, Proline Glorietta 2, adidas Ayala Cebu, adidas Magnolia, adidas Greenbelt 3, adidas Trinoma, adidas BGC and adidas Gaisano Mall Davao. 5. Promo period is from July 5, 2013 to August 5, 2013. • 5 winners (x2 tickets per winner) | 3-day pass for D Rose Tour Manila Visit. 8. Prizes are not convertible to cash, but are transferrable. 9. Winners will be announced after draw date via the D Rose Tour website (www.drosetourmanila.com). Winners will also be notified via direct contact through email / SMS / registered mail. 10. A customer can only win one prize. If a name is drawn more than once, he/she gets the prize of higher value. For more information on the D Rose Tour in Manila, visit www.drosetourmanila.com or follow adidas at www.facebook.com/adidas .